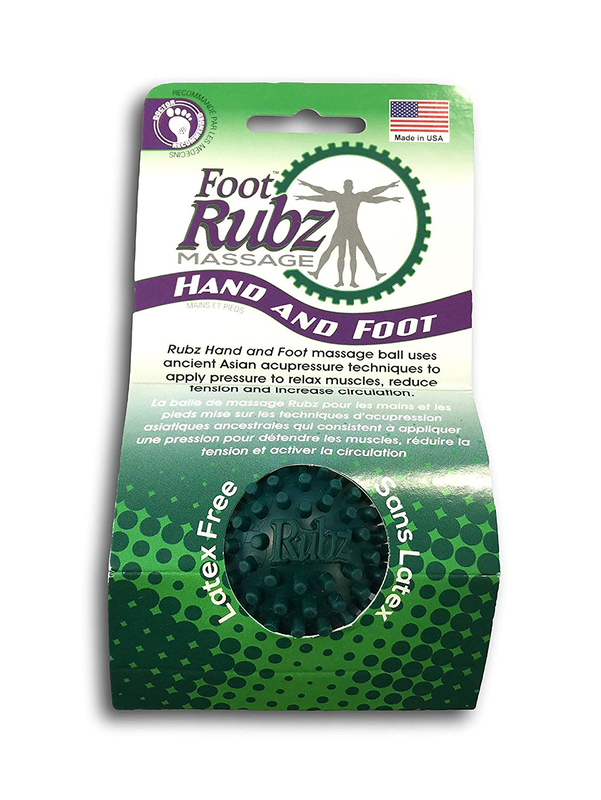 The Due North Foot Rubz massage ball stimulates acupressure points in your feet, hands and body, helping to relieve soreness and pain. It can even provide temporary relief from plantar faciitis. Roll the uniquely designed ball under your feet, in your hands or over any sore or tired muscle and feel the soothing stimulation that immediately begins to relax and eliminate your tension. You control the depth of massage with applied pressure to ensure the utmost relief of muscle soreness. Based on ancient Asian accupressure techniques, it's small enough to fit in the palm of your hand, and is easy-to-use anytime, anywhere.